Club Penguin Cheats by Mimo777 Club Penguin Cheats by Mimo777: Club Penguin Reviewed By You: Fair Tickets! I would love to see a playground set. (swings, slide, teeter totter, merry-go-round) That kind of stuff would be AWESOME!!!!!!! Hope the clup penguin team can make it happen!!! P.S. What about a roller coaster??? 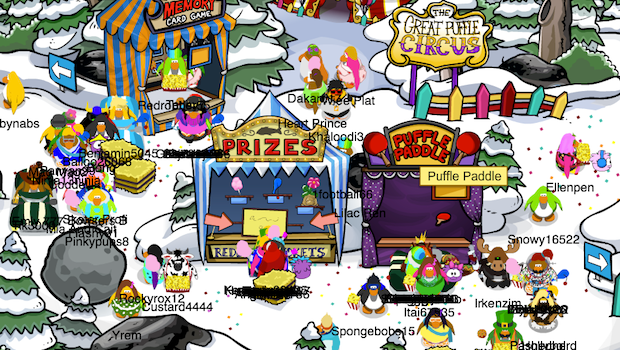 Waddle On CP!!!! Also, The Fair started!!! So, this week CP wants to know: What are your top tips for earning Fair tickets? They'll pick one comment to feature in our next Reviewed By You. The lucky penguin will also receive 10,000 coins in their account! Puffle Paddle is the easiest way to get tickets, I got 806 in one run. You can easily get over 800 in one run and buy all the stuff. It's a really easy game, if you can control your mouse.